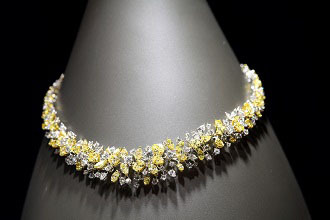 Reputed as one of Asia’s top three fine jewellery events, the June Hong Kong Jewellery & Gem Fair opens its doors recently at Hong Kong Convention and Exhibition Centre and will run until Sunday, 28 June. This edition, the largest in the Fair’s history, gathers 2,286 exhibitors from 45 countries and regions in over 70,000 square metres of exhibition space. The number of exhibitors is up around 20% from last year. The Fair implements the product-sectorisation initiative, which groups exhibitors according to product categories, thus helping buyers locate the products easily. The Fair expands the range of products on offer with the addition of new pavilions. The Stainless Steel Jewellery Pavilion, Fashion Jewellery Pavilion and Designer Arena are new additions; in total, the Fair features 16 theme pavilions. “This year, we restructured the Fair by adding a fashion jewellery segment, which further enriches the buyers’ sourcing trip. The launch of the Designer Arena, where talented designers showcase their creativity, also brings synergy to the June Fair,” said Celine Lau, Director of Jewellery Fairs, UBM Asia. The Designer Arena serves as an international platform for up-and-coming designers to connect with industry professionals from around the world. Other important pavilions include the Diamond Pavilion and the Gemstone Pavilion. Located in Halls 3B, C, D & E, the Diamond Pavilion is one of the biggest diamond showcases in any fair worldwide and features over 480 diamantaires. 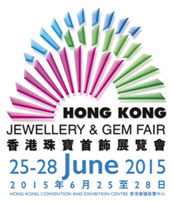 The Gemstone Pavilion features over 500 gemstones suppliers in Halls 5E, F, G & the Concourse. The number of gemstone exhibitors is up 20% compared to last year. “Although it is reported that economic growth in mainland China has slowed down recently, latest retail sales figures show that China remains a major driver of fine jewellery consumption globally. 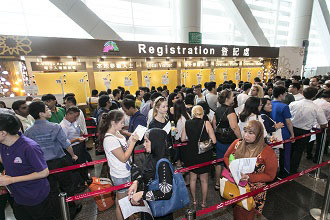 UBM Asia’s strong visitor database and mass promotion of the Fair in various channels make us optimistic that we will continue to attract serious buyers from around the world. The Fair has steadily recorded growth in visitor numbers over the past few years,” added Ms Lau.